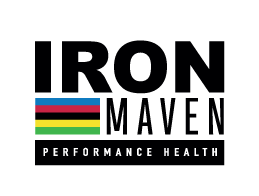 Iron Maven Performance Health is located in the heart of Silver Creek Commons at 6430 N. Business Park Loop Rd, just off the Silver Summit exit on Highway 40 in Park City. Take the roundabout exit onto N Pace Frontage Road and go to the 2nd entrance of N Business Park Loop Rd. Turn R and then take the 2nd parking lot entrance at the red fire hydrant and drive straight back to the 6430 building. We are in Suite E, located next to Park City Signs.